To deliver first class, gas industry solutions and services to our customers worldwide. To accomplish this by developing a business culture committed to continuous improvement and the expertise to utilise the latest developments in technical innovation and performance of systems and products. To conduct our business in a socially responsible, green and ethical manner. 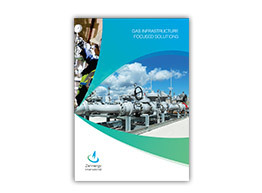 To be the leading provider of bespoke engineering and infrastructure solutions to the international gas industry and to be recognised for both quality and excellence of service by maintaining international standards and continuous improvement to enhance best practice.